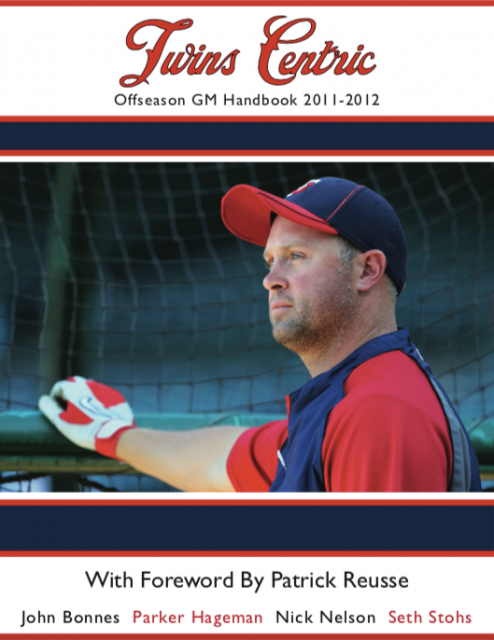 As we count down to the 2019 Offseason Handbook's official release (order yours here!) I thought a little retrospective might be fun. So I skimmed through the past seven years worth of Handbooks, seeking fun nuggets of nostalgia or insight. In this new three-part series, I'll go through highlights that tell the tales of offseasons past, while also linking to freely accessible previous editions if you're hankering for a trip down memory lane. Today we start with looks back at the winters of 2011-12 and 2012-13. Jason Marquis’s one redeeming quality at this point is his ability to induce ground balls as his 54.5% worm-burning rate was in the top 12 among pitchers who threw a minimum of 120 innings. Outside of that, he offers very little except for maybe “veteran leadership.” After a midseason trade to the Diamondbacks, who wanted some of that sweet “VL” for their youthful rotation, Marquis fractured his fibula and was placed on the DL for the balance of the season. He’s likely staring down a “make good” type of contract in the face. He actually ended up signing for a bit less than we projected ($3 million), and indeed, Marquis offered very little except for that sweet VL, which didn't take him very far as he was designated for assignment in May with an 8.47 ERA. 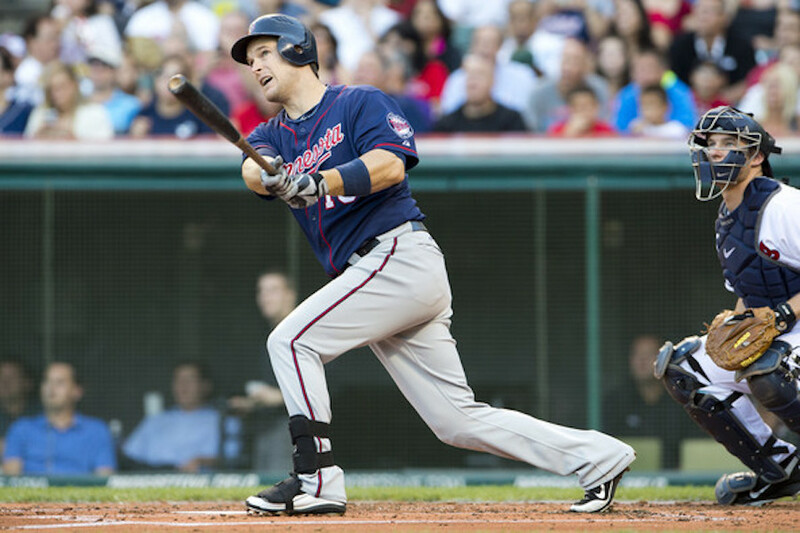 Willingham enjoyed an excellent first year with the Twins, launching 35 homers and driving in 110 runs, but his body pretty much gave out on him after that. He limped to the end of his three-year contract (the final stretch in Kansas City), then retired. Bob Fowler left the St. Paul newspapers for the Minneapolis Star in 1974. I replaced him as the Twins beat writer for the Pioneer Press and Dispatch. Yes, we had the privilege of writing for both the morning and afternoon newspapers in St. Paul, which I looked back at as quite a burden until modern beat reports started offering blogs, Tweets and articles in an endless, day-long news cycle. I also didn’t have any of these independent journalists – such as the TwinsCentric crew of Seth Stohs, Parker Hageman, Nick Nelson and John Bonnes – to compete with, which is fortunate, since those were my drinking days. It's a little funny to read that now, because if ever Mr. Reusse considered us competitors, he sure never acted like it. Betraying his curmudgeonly shtick, Patrick has always shown us genuine kindness, even though we represented a model that has shaken his deeply beloved newspaper medium to the core. I'm proud to say that Reusse once again lent his talent to this year's edition of the Handbook, contributing an excellent anecdote-filled story about Paul Molitor, and the crucial difference between ability and teachability. It provides readers with some real food for thought as the manager search carries on. "He has got pitches. He’s got athleticism. He’s got makeup. He has got the ability to spin the ball better than most. So yeah, we like him a lot." Ryan offered this assessment during our interview with him for the 2013 Offseason Handbook. And, well... You said it, Terry. Six years later, Berrios would appear in his first All-Star Game at age 24, on the strength of those very traits. He became the youngest Twin to earn the honor since Francisco Liriano, another of TR's greatest finds. Correia is a back-end starter in the low-strikeout, OK-control, pitch-to-contact mold. Even this year with the Pirates, a year in which he posted a 4.21 ERA, he was the guy bumped to the bullpen when they acquired Wandy Rodriguez at the deadline. But he’s relatively young, cheap and fairly durable. Unfortunately, he has also spent his entire eight-year MLB career in the National League. There is no guarantee the limited success he has experienced there would carry over to the AL (see: Marquis, Jason). Well, Correia outlasted Marquis and – to his credit – achieved average results in 2013 before totally falling off in 2014. But he was the epitome of Ryan's fascination with contact-heavy veteran inning-eaters possessing zero upside. It was a dark time. Heading into the 2012-13 offseason, to say the writing was on the wall with regards to an impending Denard Span trade would be an understatement. All four Handbook authors (John, Seth, Parker and myself) wrote separate blueprints, and each of the four suggested trading Span for a different player. For John, it was to the Reds for SS Zack Cozart. Seth was also sending him to the Reds, in exchange for RHP Mike Leake. Parker shipped Span to the Rays for RHP Wade Davis. I also drew up a deal with Tampa, adding in prospect B.J. Hermsen to acquire RHP James Shields. Okay, so maybe they weren't all suuuuuper realistic in retrospect. But hey, blueprints are made for imaginative thinking! Turns out Shields and Davis would both head to Kansas City during that offseason, setting up a championship reign for the Royals. Meanwhile, Ryan ended up sending Span to Washington for prospect Alex Meyer in a future-focused move that ultimately never panned. Incidentally, the best move TR made that winter took place in the same week, when he traded Ben Revere to Philadelphia. Trevor May, acquired alongside (ugh) Vance Worley in the deal, figures to be a major factor in Minnesota's bullpen next year. Those were depressing times in Twins Territory. Ya'lls website jinxed the Twins. Almost but not quite. 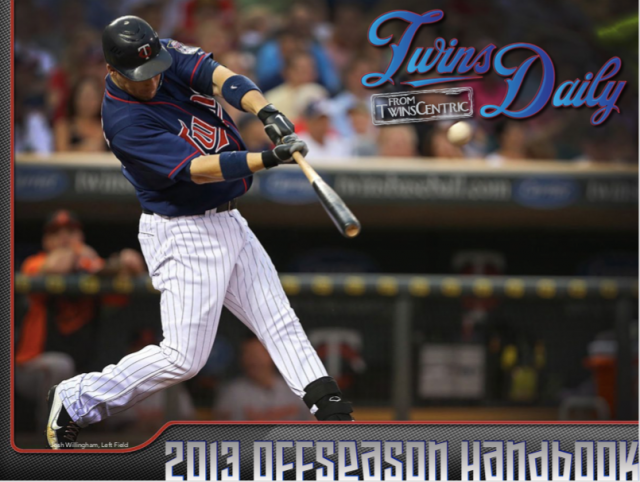 The handbook predates Twins Daily, which was founded in June of 2012. As we all know, the wheels came off the Twins bus quite spectacularly in 2011.